Get your sales and marketing teams working together beautifully. Connect Teamwork Projects with your HubSpot account and put the time you used to spend switching between apps and looking for resources to better, more creative use. 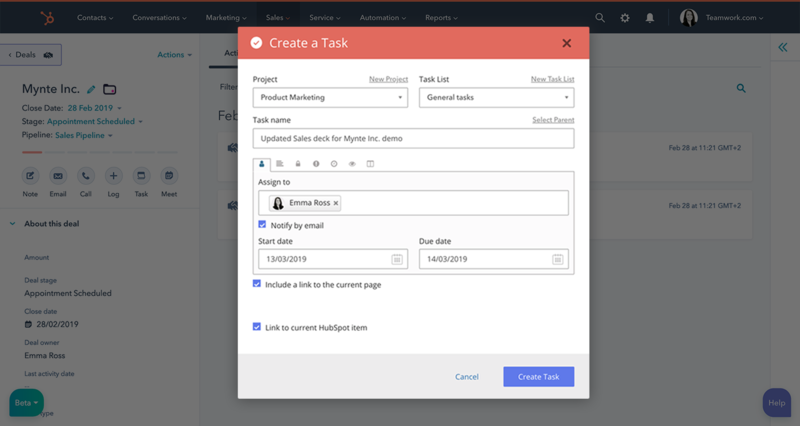 Save time by creating projects, tasks, messages, notebooks, events, and more in Teamwork Projects without leaving your HubSpot account. You can even track time spent working in HubSpot and log it in Teamwork Projects. This integration requires both Teamwork Projects and HubSpot. Learn more. Aligning your sales and marketing teams has never been so easy. 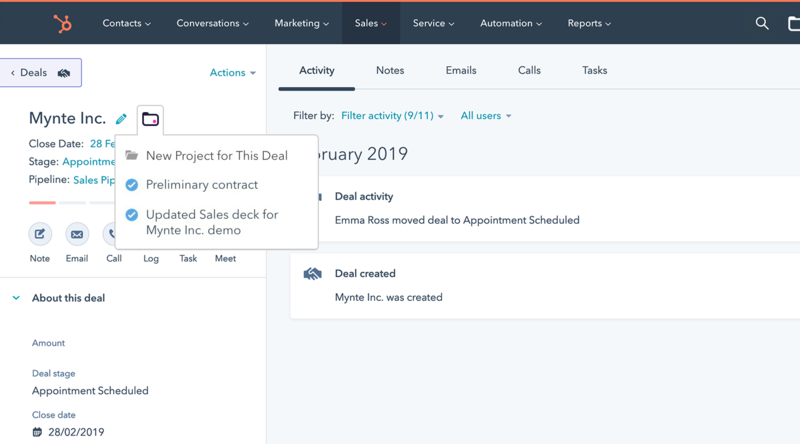 Create a project directly from a deal in HubSpot CRM and add tasks to request the marketing collateral you need to close the deal. Keep your inbound marketing and sales activities organized and on track by linking items in Teamwork Projects to any item in HubSpot. 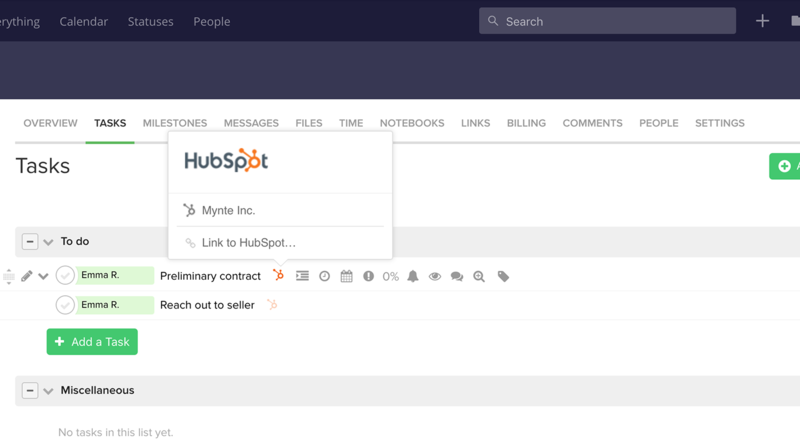 Give your team the resources they need by connecting projects and tasks to landing pages, emails, and blogs in HubSpot.